suitable for capturing any moment. 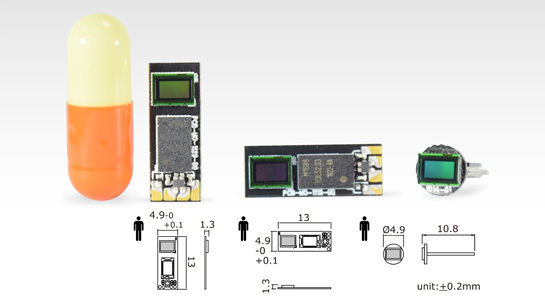 Ultra-small 720p camera. 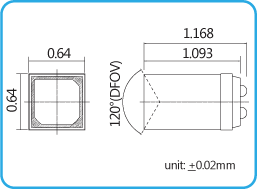 Dimension is Ø3.5mm only. 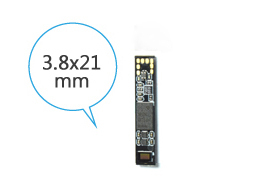 1/9" image sensor with high-definition resolution and LED with dimmer function (order in advance). 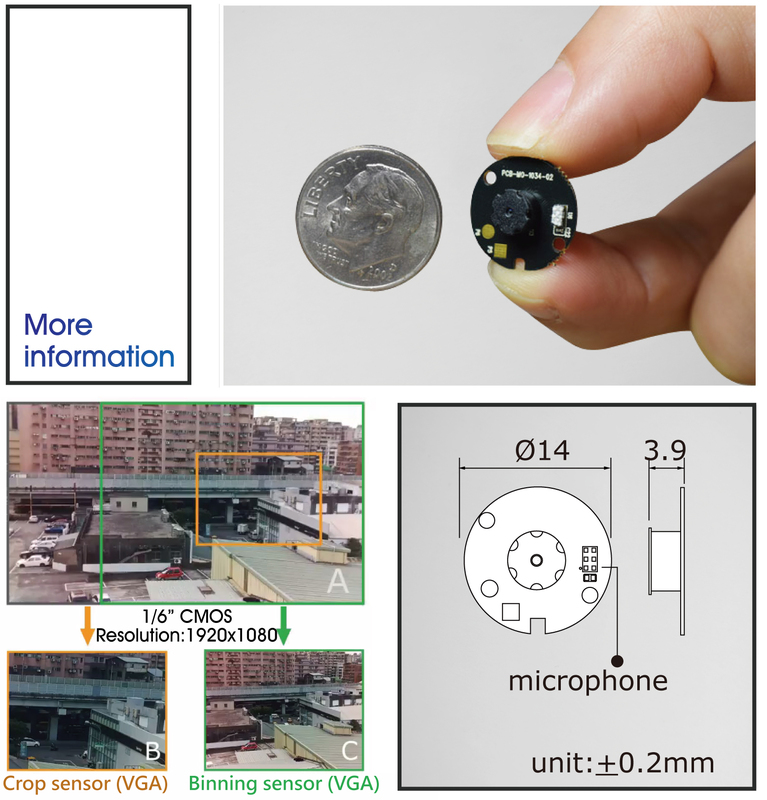 Ultra-small 720p down view camera. Dimension is 3.8x21x1.64mm ultra slim. 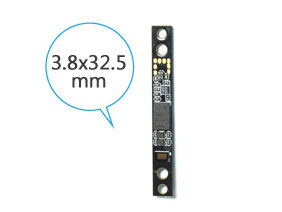 1/9" image sensor with high-definition resolution and LED with dimmer function (order in advance). ultra slim. 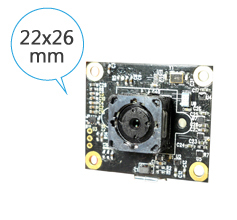 1/9" CMOS sensor with 720p resolution. 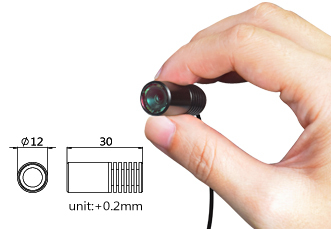 Extremely lightweight 1/6" CMOS UVC glasses camera with 1080p resolution. loop recording, snapshot functions. Supports max memory 128GB(micro SD). Users can view live streaming video via a smartphone. 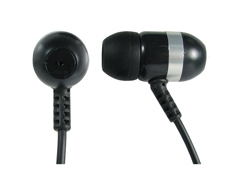 Left side view, Right side view, Up View, Down View (order in advance), Easy installation. 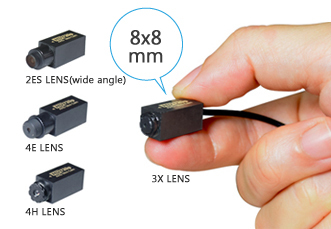 1/9" CMOS sensor with 720p resolution and 120-degree lens. LED brightness according to the environment. 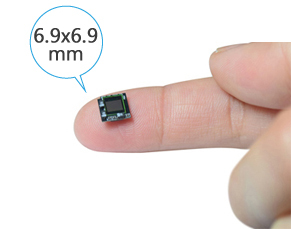 1/4" CMOS sensor with 640x480 output pixel array. 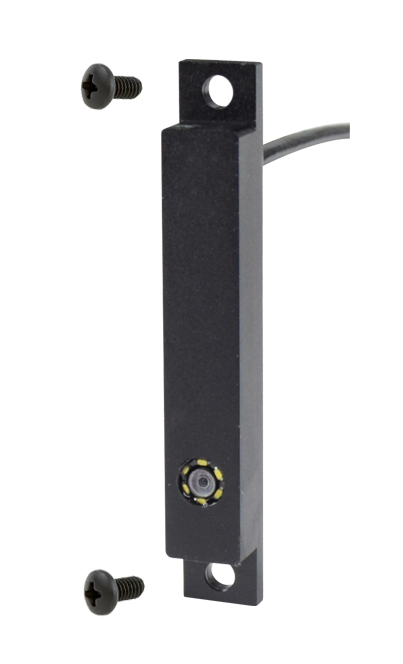 Dimmer function is good for adjusting LED brightness according to the environment.